Deb Inder of Central Mediation has over a dozen years of experience as a Family Lawyer and helping people. 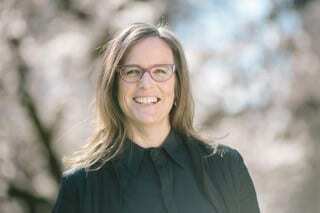 Deb has a Post Graduate Diploma in Child Centred Practice (with Distinction) and is a PhD candidate undertaking a PhD in Children’s Participation Rights in Family Law within New Zealand. Deb is also an accredited NZ Law Society Family Specialist Mediator and a member of the New Zealand Family Law Section. Deb practices Child Focused Mediation when dealing with issues surrounding care of children and guardianship disputes. As a Mediator, Deb’s aim is to help parties stay out of Court, to facilitate excellent communication and to assist parties in creating parenting plans that are workable and meaningful for children. As well as a qualified Mediator Deb is also a Family Law Barrister and is available for legal advice and representation in the Family Court. Deb is an accredited Family Specialist and has extensive experience within the New Zealand Family Justice system.